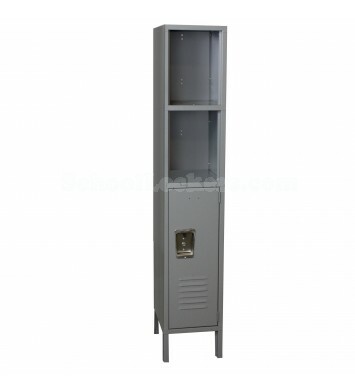 These Industrial Strength Lockers are available on www.buyusedlockers.com where they have a huge selection to choose from if we need additional supplies. 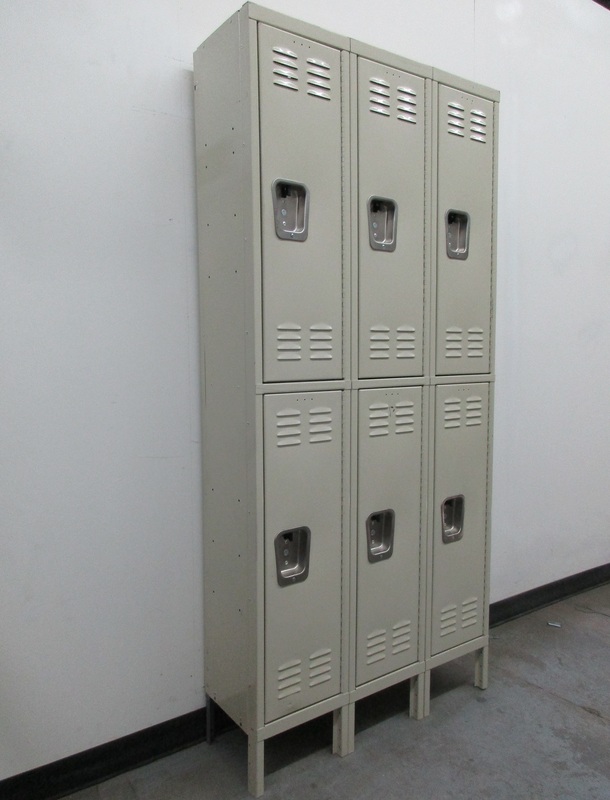 These super strong 2-tier lockers are ideal for industrial settings. Each column has a larger compartment that measures 9" wide x 12" deep x 54" high that is perfect for clothing and jackets and a smaller locker that is 9" wide x 12" deep x 12" high that can be used for smaller personal items. Made with 14 Ga doors and 16 Ga bodies these are strong enough to handle the roughest environments. 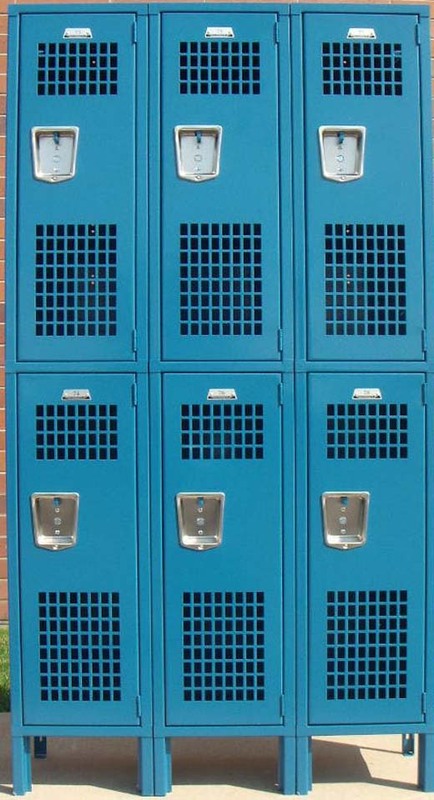 They also have perforations in the doors and on the sides that will help keep the contents of the lockers dry and odor free. When used with a lock these will definitely keep your belongings safe. we have 24 groups of 4 columns wide.